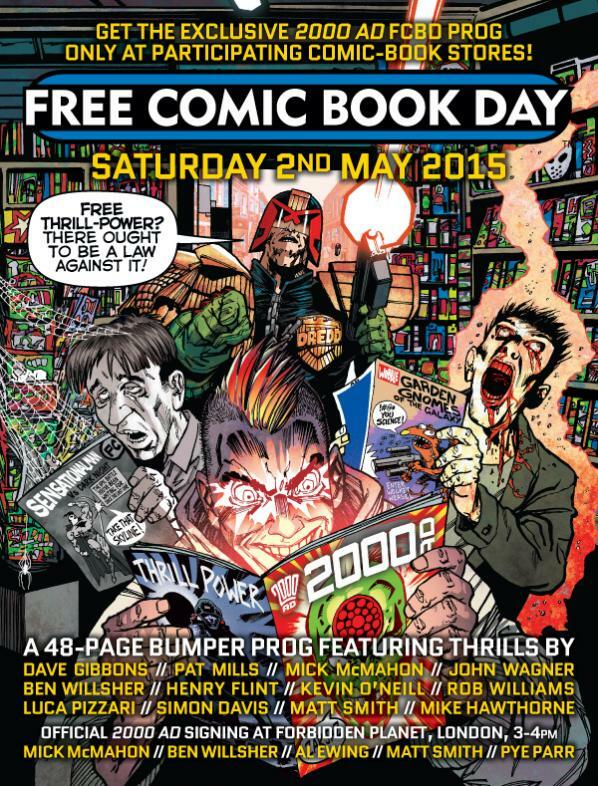 “2000 AD is very proud of the success of our FCBD issue, which saw orders grow in huge jumps every single year, exceeding 60,000 units in 2015. We value FCBD, and the effort Diamond and the retailers put into making the day so successful, for the opportunity to support comic book stores, reach out to new audiences both within and beyond the UK, and to give something extra to readers. As such, we have proudly and routinely commissioned original content from top flight talent for our FCBD issues and increased the page count to a hefty 48 pages. “We don’t want to keep that from our readers, so we have therefore taken the decision to still bring this amazing work out in May 2016 in a new Summer Special issue, full details of which will be forthcoming. The 2000AD comic is always one of the fastest to go at my local comic shops so there’s definitely an appetite for the content, hopefully Rebellion don’t miss out on any potential new readers by not being able to offer a comic on FCBD and can turn this situation around with their Summer Special.